Info "These guys won't stop following me! Help me get away!" High-Speed Chase is one of Wario-Man's microgames in WarioWare: Twisted! 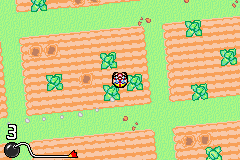 The player must tilt the system to keep Wario from getting ran over by the object that is chasing him. The microgame results in a loss if Wario gets hit by the object, knocking him to the screen, thus cracking it. Level 1: The player must prevent Wario from being chased by a bull on a farm. Level 2: The player must prevent Wario from being ran over by a car in a parking lot. Level 3: The player must prevent Wario from being hit by a robotic turtle in a factory. This page was last edited on November 12, 2018, at 16:56.